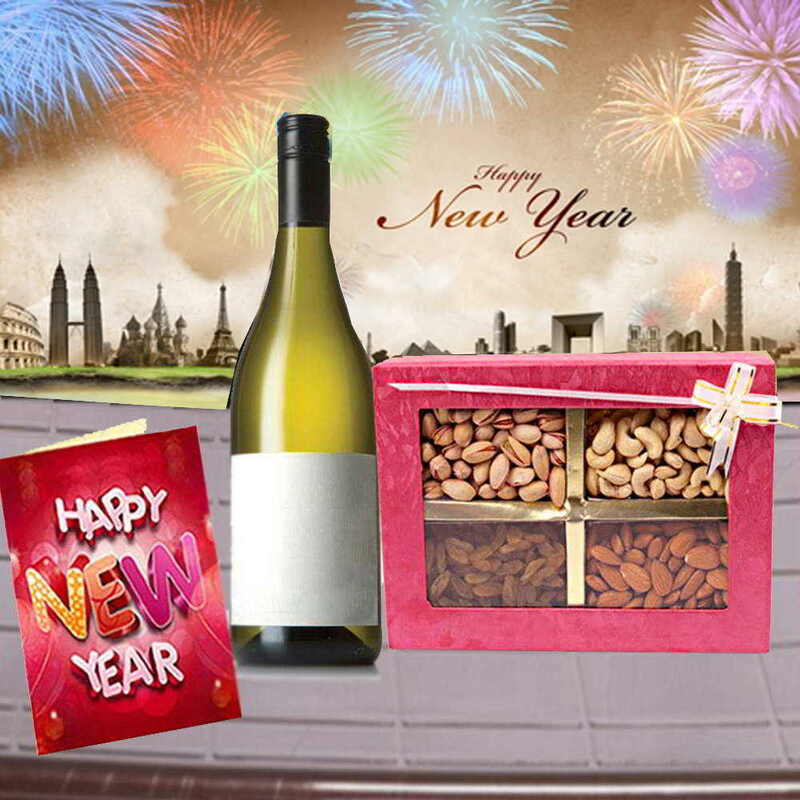 Product Consists : Assorted Dryfruits in a Box (Weight : 500 gms), 1 Bottle of Indian Branded Wine along with New Year Greeting Card. (This product can not be delivered in Gujarat as it has been declared as 'Dry State'). 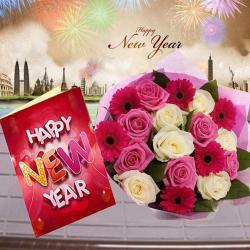 If you are in search of a beautiful gift to send to your loved ones on New Year then we have a perfect option for you. This is an awesome gift hamper that comprises of an elegant dry fruits Box that contains assorted dry fruits like almonds, raisins, pistachios and cashew nuts. 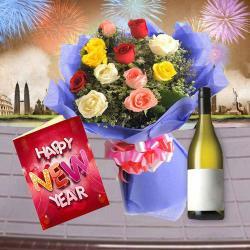 A classic bottle of Indian Branded Wine and an amazing greeting Card for New Year are also clubbed with this hamper to make the celebration memorable. 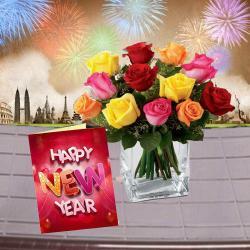 So go ahead and order this hamper now to give your dear ones splendid memories to cherish forever. 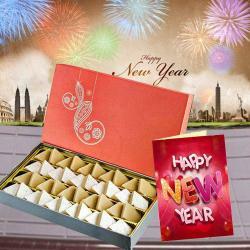 Product Consists : Assorted Dryfruits in a Box (Weight : 500 gms), 1 Bottle of Indian Branded Wine along with New Year Greeting Card. (This product can not be delivered in Gujarat as it has been declared as 'Dry State').